Formula Honda | Blog | What could be better than an ugly sweater? What could be better than an ugly sweater? The holiday season is finally upon us! Our family at Formula Honda loves Christmas – we’ve had our decorations up for weeks! 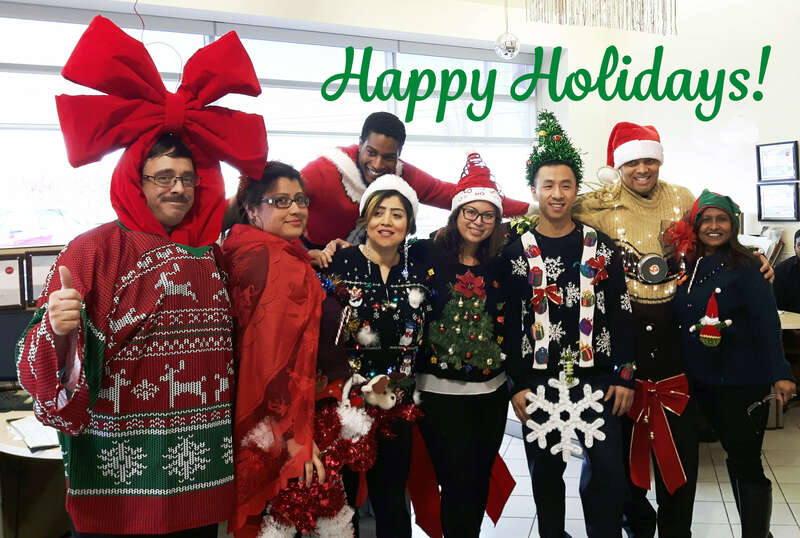 We’ve enjoyed our delicious annual festive lunch together, but we wanted to do something more to celebrate the most wonderful time of the year… Then we had a thought; what better way to get in the holiday spirit than to sport festive holiday attire? On Tuesday, December 20th judges had to sit down and decide who was going to win Formula Honda’s first ever Christmas Sweater Competition. Judging was based on both creativity, and presentation. But mostly on presentation. What better way to win over the judges than by dancing into the showroom? All of the sweaters had their own custom touches, and lots of character. Prizes were given to first, second and third place! Thank you to all of our participants. We’ve got to say, this is one of our ugliest traditions yet! Happy holidays everyone!